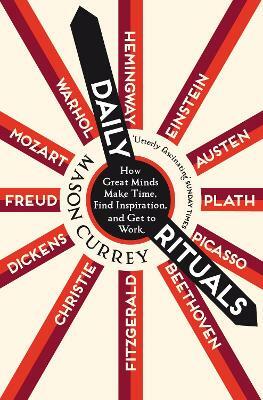 A second book from Mason Currey, author of Daily Rituals. Daily Rituals: Women at Work includes one hundred profiles of female creators: artists, writers, film-makers, choreographers, and musicians. In Daily Rituals: Women at Work, we see how brilliant female creators got to work, often in the face of sexism and opposition from those around them. Barbara Hepworth sculpted outdoors and Janet Frame wrote wearing earmuffs to block out the noise. Kate Chopin wrote with her six children 'swarming around her' whereas the artist Rosa Bonheur filled her bedroom with the sixty birds that inspired her work. Louise May Alcott wrote so vigorously - skipping sleep and meals - that she had to learn to write with her left hand to give her cramped right hand a break. From Virginia Woolf and Charlotte Bronte to Nina Simone and Jane Campion, this is a book full of the day-to-day lives of some of the world's most brilliant creative minds who - no matter what stood in their way - found the time and got to work. Buy Daily Rituals: Women at Work by Mason Currey from Australia's Online Independent Bookstore, Boomerang Books.